A pocket listing is the term used to describe a property for which a broker holds an exclusive signed listing agreement with a seller. The property is never advertised or listed in a Multiple Listing Service (MLS), which is the standard way to try to find buyers. Pocket listings differ from FSBOs, which is shorthand for "For Sale By Owner." While FSBOs are sold by the owner without the help of a real estate agent or broker using websites, word of mouth, and other methods, a pocket listing is sold by one broker. 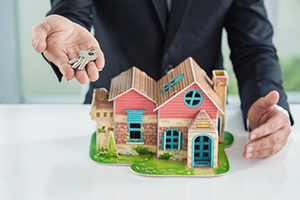 At Pulgini & Norton, our Boston real estate attorneys can help a seller decide whether a pocket listing is a good way for them to sell their home. Pocket listings are never listed in an MLS, and this has both advantages and disadvantages. Often, the purpose of a pocket listing is to maintain privacy. As a seller who is in the public eye, for example, you may not want people to know that you are selling your home. You may ask your broker to list the property without entering it into the MLS. Most Multiple Listing Services require that listings be entered within a certain period of time after a listing agreement is executed. When a broker and a seller decide to keep the listing out of the MLS, they need to sign an opt-out form. The opt-out form acknowledges that it is the seller's choice not to market the property by listing it in the MLS. Sometimes, rather than opting out, the seller may want a "coming soon" listing, which also requires the seller and the broker to fill out an opt-out form for a particular time frame. When a broker and a client decide to pre-market a sale without a listing agreement in place, however, this rule does not apply. The broker should be familiar with MLS Rules and ethics rules to make sure that they are handling a listing appropriately. Some people feel that offering a pocket listing without exposing a potential sale to the marketplace as a whole does not represent a seller's best interest and also undermines the real estate industry, which depends on the MLS model. When you restrict the marketing of your property to a significantly smaller network, the property is not as likely to attract competitive offers or create bidding wars. On the other hand, people who support pocket listings believe that they are more effective to accomplish a quick and quiet sale that is at a lower cost. A realtor is supposed to protect a seller's best interest, and ultimately, as a seller, this is your decision. Your real estate agent or broker has an ethical obligation to share with you the potential consequences of your decisions related to the sale of your property. They are not supposed to steer you in any direction for their own benefit. If you are considering a pocket listing for your home, it may be prudent to consult a Boston real estate lawyer. At Pulgini & Norton, we advise and represent clients in Weymouth, Somerville, Medford, and other cities in Massachusetts. For a consultation with a property transaction attorney, contact us online or call us at 781-843-2200.